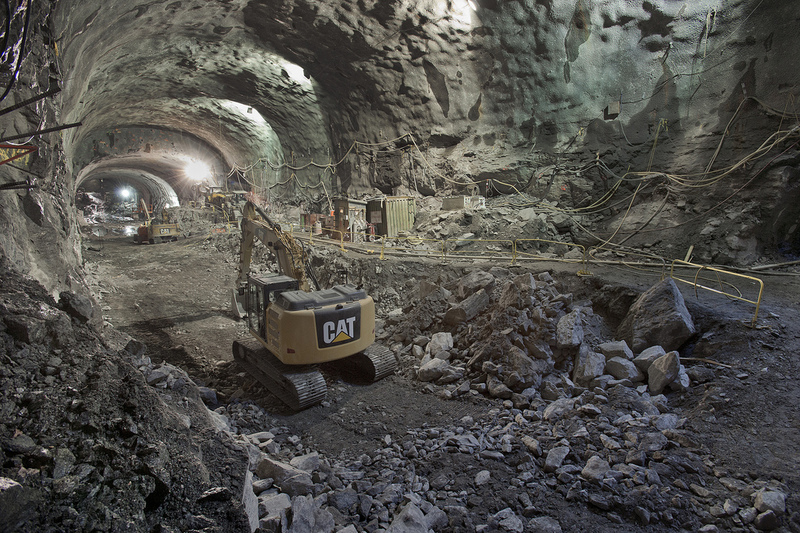 Massive urban tunnel projects, like the Second Avenue Subway construction project in Manhattan, are mind-boggling in scale and complexity. The MTA just released some photos that have a lot of people talking. Read more about the project here. Is anyone excited about U.S. politics these days, excited in a positive sort of way? I have been ignoring the weekly ups and downs regarding legislation affecting the environment, preferring to take notice only when a proposal looks likely to pass. Given that nothing is passing both houses of Congress, I’ve had time on my hands! For some time now, it has been clear that climate change was not going to be on the agenda in Washington, D.C. Climate has, in fact, been considered the proverbial “third rail” in the nation’s capital ever since cap-and-trade legislation failed. This is a sorry state of affairs, in my opinion, but climate adaptation is still a growing need at the local level, with cities taking the lead in many cases, despite dysfunction at the national level. Nevertheless, federal funding is still critical for local government planning, making it a necessity for local government planners to know which way the federal winds are blowing. This past week, members of the American Planning Association lobbied Washington in support of legislation that would support local communities, and NRDC blogger, Deron Lovaas reported on some of the planners’ interests. In our current political climate, no one’s talking about climate. But people do want to hear about economics and energy, which means that it’s a great time to talk about transportation solutions. …snip… Planners should be pushing for bipartisan solutions like high-occupancy toll lanes, ITS technology and scenario planning in their communities. Yesterday planners spent the day lobbying on the Hill, pushing for the American Jobs Act and the clean energy opportunities it presents, such as investments in innovative transit projects through the TIGER and TIFIA programs, and Project Rebuild, which will invest $15 billion in rehabilitating properties in distressed communities. The plan was called Youngstown 2010, but now — in 2011 — the city of Youngstown is just getting around to removing its first street. Part of the problem is that the state, regional and national policy framework is still oriented for growth. After all, Youngstown can’t go to the Ohio Department of Transportation and ask for money to tear out roads — yet. ODOT’s money is for building roads, and that fuels a dynamic that threatens what progress has made in Youngstown.